Auburn University Tigers fleece. 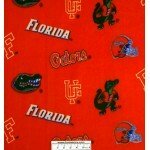 Auburn University Icon Toss Fleece, This University fleece fabric i..
Brigham Young University Cougars Fabric, Brigham Young University Squares Cotton Fabric, for quiltin..
University of Florida Gators fleece. 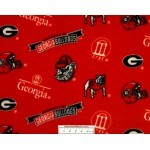 University of Florida Toss Fleece, This University fleece fabri..
University of Georgia Bulldogs fleece. University of Georgia Icon Toss Fleece. This University fleec..
University of Iowa Hawkeyes fleece. University of Iowa Icon Toss Fleece. This University fleece fabr..
University of Kansas Jayhawks fleece. University of Kansas Squares Fleece. This University fleece fa..
University of Southern California Trojans Fabric, University of Southern California USC Cotton Fabri..
University of Texas Longhorns Fabric, University of Texas Icon Toss Cotton Fabric, for quilting, app..
University of Oklahoma Sooners fleece. University of Oklahoma Squares Fleece. This University fleece..
University of Michigan Go Blue, Wolverines fleece. University of Michigan Toss Fleece. This Universi..
University of Nebraska Huskers fleece. University of Nebraska Squares Fleece. 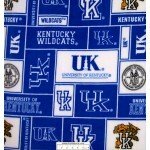 This University fleece..
University of Kentucky Wildcats fleece. University of Kentucky Squares Fleece. This University fleec..